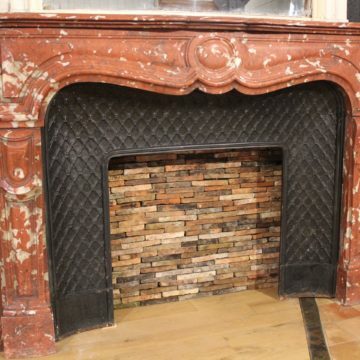 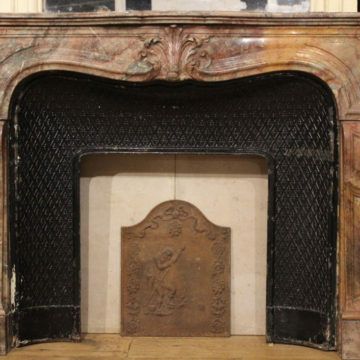 French fireplace in the Napoleon III style, dated 1856 (inscription visible in chalk). 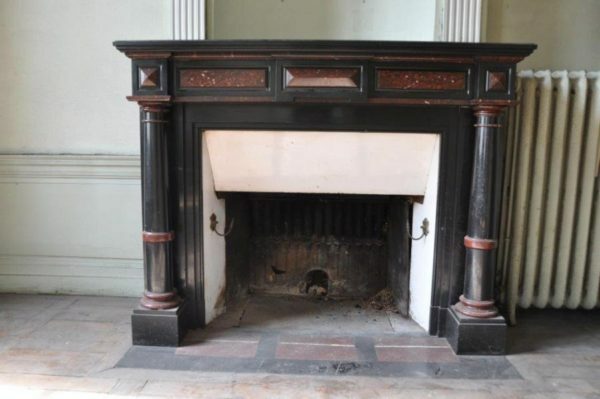 It is made in black and red marble, featuring classic columns. 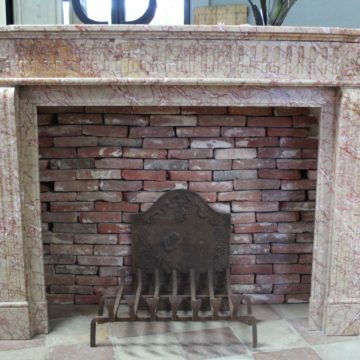 Dimensions approx: overall width 156cm (61 inches) x ht 121cm (47 inches) x front-to-back 45cm (18 inches). 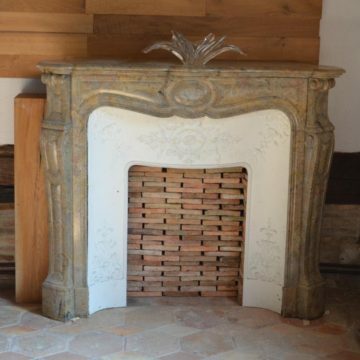 On display at BCA’s Maine & Loire premises at L’Hotellerie-de-Flée. Export document supplied.